Do you have the secret weapon to nab a largemouth bass? Have you learned some tricks or tips during your years of angling experience that you would like to share? Then you’ve come to the right place! 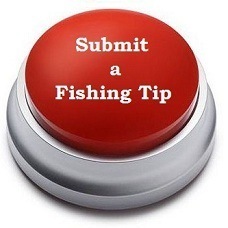 This web page is used to submit your fishing tips, tricks or techniques to Fishing Tips Depot. We review every submission by researching it and physically testing it in some situations. We may contact you with questions regarding your submissions and we reserve the right to use your submission on our website. Please do not submit anything that is already listed on our website or that may be copyrighted by another person and/or company.